After being rolled over for many weeks in a row, the Powerball jackpot was finally won by three lucky players and what’s interesting is that two of them reside in New Jersey. The third winner lives in Minnesota and the three of them will receive an equal share worth roughly $8 million after taxation. Powerball players were buzzing with enthusiasm and some of them secretly hoped that if they don’t win the jackpot nobody will, so that the previous record could be broken. As the size of the jackpot increased, so did the number of tickets sold by local vendors and it was only a matter of time until someone would hit the winning combination. The numbers were 5, 25, 30, 58, 59 and a Powerball 32, with three of them above 31 which makes it even more surprising that we had three winners. It is known that the vast majority of players manually add the numbers on their lottery tickets and they are inclined to use digits or numbers that have a certain signification to them, such as birthdays. Regardless of the manner in which they chose to select the numbers, the three winners will join the club of Powerball millionaires. Very little information has transpired about the Minnesota winner, but it is known that the two tickets originating in New Jersey were bought at a Super Stop & Shop and at an Acme Markets. Tens of thousands of lottery fans watched the Powerball draw life, hoping to learn firsthand if the extracted numbers matched those on their lottery tickets. As the interest is rising for increasingly high jackpots, Powerball players are starting to lose interest in second-tier prizes. The study conducted by a group of professors in conjunction with lottery officials clearly show that players tend to compare prizes and what was previously regarded as exciting is now bland and uninspiring. Obviously, if you put in balance the jackpot and the lower category prizes, it is obvious that there is a huge discrepancy between them and nobody talks about the latter. Another interesting fact is that even the jackpots are only fascinating if they exceed 200 or 300 million, something that didn’t happen a couple of years ago. Back then whenever the amount exceeded the three digit threshold, everyone was buzzing with interest because the average prize was below that limit. 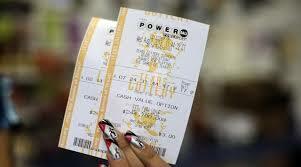 One reason for why the jackpots were bumped is that the price of Powerball ticket was doubled in early 2012. A further increase in the price of a ticket would be a bad idea right now because too little time has passed since the last bump. Furthermore, this would only lead to higher jackpots and the gap separating them from second-tier prizes will only increase. What lottery officials need to concern themselves with is to find a new way to split up collected amounts so that lower category prizes will be dramatically increase. Doubling or even tripling these amounts won’t solve the problem completely, but it should still be a step in the right direction.